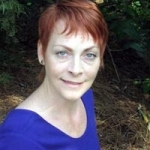 My name is Denise Sheridan and I would like to give you a testimonial about Aura Yoga Kids Yoga Training program. I am a busy mum of two and run a preschool service for13 children aged from 2-5. I have practiced yoga myself for over 5 years and began self teaching my daughter about 2 years ago. For me the Aura Kids Yoga Teacher training ticked all the boxes. Firstly It allowed me to study at my convenience through distance learning. Secondly the course curriculum; the exam ; the DVDs all prepare and teach you how to teach – not just children’s yoga for which extra material is supplied – Wai Lana material. This gave me confidence as a yoga teacher as I really learnt all about my own practice. Thirdly the exam layout itself is a guide through yogic teachings. I have printed my exam answers out and use it as a reference guide. I feel confident; knowledgeable and prepared for the years of teaching children in the future. 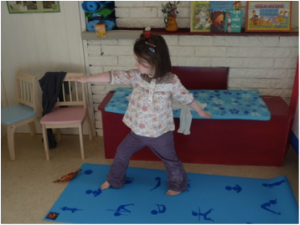 My children love it , my classroom children love it and I have incorporated Yoga into my daily teaching at the preschool. I am also launching Saturday morning classes for children from March. My vision is for Yoga to become a life skill for children. Not something we turn to as adults from a stressed work life experience but something that we do as naturally as reading a book or going for a walk. The quality and comprehensiveness of the Aura Teaching material has provided me with the tools to bring this vision to life in my preschool. Thanks to Paul and all at the Yoga Teacher Training Program. Aura Yoga taught me to be a Kid’s Yoga Teacher. For the last couple months I studied the books and DVDs which were included in the Aura Package. The books were exciting and led my journey through yoga history, philosophy, asanas and practice. Paul was a wonderful mentor and answered all my questions immediately. Thank you for enriching my life with this great knowledge. The program, literature, DVD’s, and support truly made for a phenomenal experience. I have been teaching for four months, and already run my own small business, renting space at a local wellness center. Not only does teaching children yoga promote wellness in them, but in their entire family. I have mothers with small babies, parents, and grandparents interested in learning more about the deep connection a practice can bring into their relationships with self and others. This is the most rewarding leap of faith that I have ever taken. Thank you for this opportunity. My path is forever changed. Thank you again for this wonderful opportunity. I feel so blessed to have been given this path. When I first decided to specialize in prenatal yoga, I was told by many people in the local studios to expect very low class numbers and a good deal of resistance from physicians. Because of the great love that I have always had for anything to do with babies, I decided to go ahead and give it a try anyway. Having already received my Hatha yoga teacher certification from AURA Wellness’ online program, I chose to stay with Paul and Marie for my next certification. I consider them to be friends and mentors. I completed the prenatal yoga instructor training program and immediately began teaching at a local studio. At first, the class numbers were indeed low but over time I developed a following. I then decided to branch out and open my own studio, which I did in October 2005. My current prenatal student enrollment is up to 35 and I am now receiving direct referrals from midwives and OB physicians all around my area. I credit my success, in great part, to the comprehensive certification program offered by AURA Wellness. I was fortunate enough to work (online) with Jane Mackarness, a seasoned, certified prenatal instructor located in England. I found Jane’s teaching style to be patient and compassionate. I always felt as though my future success as a prenatal yoga instructor was as important to her as it was to me. To this day, we continue to keep in touch! The prenatal yoga teacher training program was sent to me in modules. Each module was informative and challenging and required me to design my own class handouts and use my personal creativity. I continue to use those handouts in my current classes! My students have told me that they really love the community feeling of the classes. We celebrate every single birth as if it were our own! I have also witnessed some lifelong friendships developing amongst the moms-to-be and that really warms my heart. I can honestly say, at the risk of sounding dramatic, that the AURA Wellness prenatal yoga teacher certification course has changed my life. I have finally found my niche and cannot imagine myself doing anything else for a very long time! I had received some prenatal training when I went through my Hatha Yoga teacher certification program. I had read the books and had been teaching prenatal yoga for a year before I decided to get this special certification through AURA Yoga. So I thought this course would be a breeze, but I was challenged in unexpected ways and extended my knowledge far beyond what it had been. I learned something new with each module. Jane’s support was invaluable and her comments always insightful and informative. The format of AURA Yoga’s Prenatal Teacher Certification Course allowed me to work through it at my own pace so that I could keep up with my regular teaching schedule. I very much enjoyed creating my own handouts and my students participated enthusiastically. They still laugh at “the hammock story”, my rather humorous take on the pelvic floor, usually a pretty dry subject. Fortunately, Jane appreciates that humor can teach what a straightforward statement of facts will often let slip right out of the mind. I have continued to stay in touch with my prenatal students and now many of them come to my baby yoga classes as well. One of my biggest thrills is the first time I meet the baby of a former prenatal student – they will often turn their heads as they recognize my voice! One mom told me, “He heard you every week for months guiding us through relaxation.” I love to get email updates from those who have moved as far away as Russia. The oldest of my “yoga babies” are now 2 years old and doing their own down dogs. I feel blessed to be able to work with such a special population of students. Thank you. I just finished the prenatal yoga teacher training course. I wanted to tell you how happy I am with the course. Jane is a great instructor. She is tough but fair. She really knows what she is doing. She is compassionate and I really enjoyed working with her. I learned so much. Thank you both for your time and dedication. I’m sorry this has taken me so long to write with some thoughts on the Prenatal Yoga teacher training course. I live in Montana. Our studio was getting more and more pregnant women coming to class. I was trying to find a Prenatal course that would help me to be able to safely incorporate these students into class. The courses I found were lengthy and quite costly (not including housing). Through my search I found the Aura online course. Jane was great. She is extremely knowledgeable, professional and passionate about safely helping both Mom and baby. Her course not only deals with the asana of pregnancy but the total experience. Through pranayama and meditation she gives tools for Moms to deal with their changing emotions and to begin bonding with their baby. Jane answered questions promptly and was very patient when I needed more explanation. Since taking this course I’ve become interested in pursuing more training in Pre and Postnatal Yoga. I completed the Prenatal and Postnatal Teacher Certificate with Aura Yoga this past year. I am honored to take this opportunity to extend my thoughts on this yoga instructor program. Having completed two other on-line courses also, it gave me an opportune time to reflect upon the needs of the students in this situation of studying. I feel it imperative that your guiding teacher provides you with quick responses to your questions, allows individual growth through the program, is compassionate and caring, and has a professional attitude towards the needs of all within their courses. Jane Mackarness and Paul were all of these and beyond. I thoroughly enjoyed and learned so much from this program, I can say to any one pondering, this is a wonderful course, you can not go wrong with this choice and you will be provided with all you need as you journey through. Thank you so much for sending my Pre and Postnatal Diploma so promptly. It really is a lovely certificate. I absolutely loved the course, and loved working with and getting to know Jane. I will highly recommend Aura Yoga teacher training to anybody who might be looking for a new direction. Paul’s childrens yoga cert is very helpful. After working with children for over 15 years I am always looking for ways to incorporate play with exercise for my clients and their families. After the class I began to look for ways to encourage this with yoga using imagination for the positions and what that might look like. My research was on ADD and and yoga. 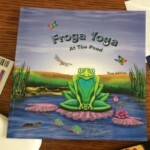 My recertification research paper became a way to incorporate yoga with play called Froga Yoga at the Pond. I think the reading assignments for the class were helpful to know the history of Yoga, but I see the exercise of yoga with practice and the positions most interesting in the use of calming, strengthening and stretching. Those children with muscle limitations, muscle coordination and behavior challenges can also benefit. To fully understand this take a yoga class for yourself and experience the physiological effect for yourself. Parents of challanged children need this more than anyone! Offering a class for kids alongside an adult class is invaluable! Also in Ontario Canada parents of developmentally delayed children are given a waver to write off expenses for OT, PT… and even Yoga for their families needs. The practice of yoga should no longer be ignored as just another religious practice.